OctPoWriMo 2016 will be held at Poets on the Page. We are currently in our yearly countdown to October, sharing poetry tips and wisdom. Hope you will join us by signing up now! Are you missing NaPoWriMo? Then you are in the right place! 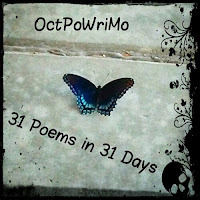 OctPoWriMo: 31 Poems in 31 Days, is October Poetry Writing Month, a poetry challenge to write a poem a day (on your blog, in your journal, in our Facebook group, or on other social media) during the month of October and link up your poetry here for all of us to share and support each other on this poetry journey. You can find inspiration through our daily poetry prompts or write from your own prompts. In September 2012 I decided it was time that we (poets and lovers of words) had another poetry month besides April. Hence OcPoWriMo (October Poetry Writing Month) was born.What I didn't know was that it is actually poetry month in England in October, happy coincidence. In the previous years we have had volunteers, and myself, posting daily tips during the countdown in September and the daily prompts in October. This year I am facilitating OctPoWriMo differently. During September I will be posting countdown fun leading up to OctPoWriMo and asking you to sign up on the Link Up page. On the last day of September I will be posting the FULL LIST of poetry prompts for October. Yes I will still be posting daily here for the OctPoWriMo adventure, but in the past many asked if they could see the prompts ahead of time. I also wanted to make sure that I had a list to share on Instagram. Still lots of poetry fun to be had by all! So hop on over to the OctPoWriMo link up, sign up today and remember to tell all your poet friends and lover of words with the hashtag #OctPoWriMo across social media! Morgan Dragonwillow is a poet, author, encourager, and facilitator of magical circles. 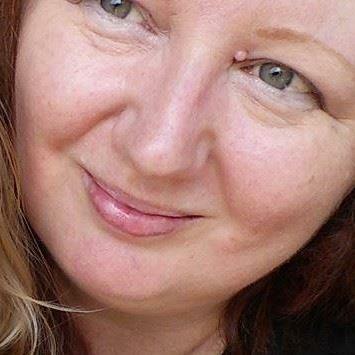 She is team leader at @StoryDam, #OctPoWriMo and #PoetsonthePage You can find her Playing with Words and dancing on her blog. Yes she is on Google+ too!